Emory’s ongoing Year of Shakespeare invites you to join actor Harry Lennix and Emory Professor Dwight Andrews for a conversation about the intersection of artistic creativity with spirituality and social justice. 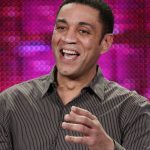 Harry Lennix is an accomplished film, television, and stage actor. His credits include Julie Taymor’s Titus, The Black List, Man of Steel, Batman vs. Superman, Romeo and Juliet in Harlem, and Henry IV, as well as the critically acclaimed series 24 as Walid Al-Rezani. This event is made possible by grants from the Hightower Fund and from the Emory College Center for Creativity and Arts’ David Goldwasser Series in Religion and the Arts, and with the assistance of the Michael C. Carlos Museum, the Department of English, and the Stuart A. Rose Manuscript, Archives, and Rare Book Library.